We are located in the Cimarron Plaza at the corner of Drake and Shields in Fort Collins. We are on the west side of the plaza between Pulcinella’s Pizza and Gryphon Games and Comics and The Purple Cup Cafe (stop in for coffee and treats). What kind of books do we carry? As a child I remember my grandmother (born 1882) reciting passages she had memorized from The McGuffey’s Eclectic Readers, school textbooks first published in 1836, selling 120 million copies between then and 1960, and continuing to sell 30,000 copies a year today. The McGuffey’s Eclectic Readers contained carefully selected material for all grade levels to be used in the one room schoolhouses of the past. An “eclectic reader” today is a person who reads a variety of things, and this describes me perfectly – I am likely to be reading anything: a juvenile picture book, Harry Potter, John Adams by David McCullough, Stiff – the Curious Lives of Human Cadavers by Mary Roach, modern fiction, Emerson’s Essays, Loren Eiseley, or The Children’s Blizzard (of 1888) by David Laskin. 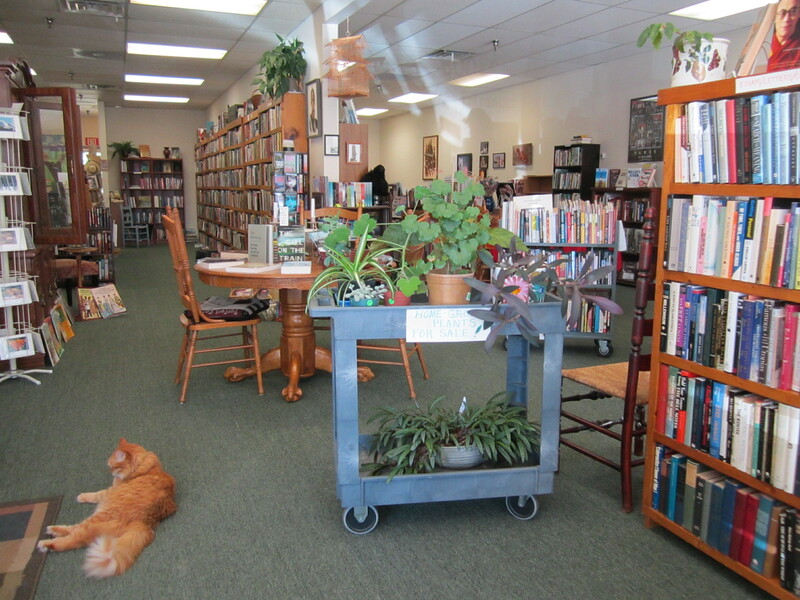 The Eclectic Reader bookstore is dedicated to the freethinkers and independent readers of the world who love to browse until their next book finds them. Besides our main goal of connecting people with the books they need/want in their lives to help them on their individual paths, it is our hope that we have created a learning environment where community events will promote connection with each other and the place we call home. This green business combines many ecological and community- building principles, from recycling to being an advocate for reading, writing and meaningful conversation. We support local authors and poets and offer many free community events. Only local people have been hired to create the unique, individualistic style of the bookstore: carpenters, craftspeople, writers and poets, lecturers, photographers, artists, musicians. We invest in the community in which we live and do business. 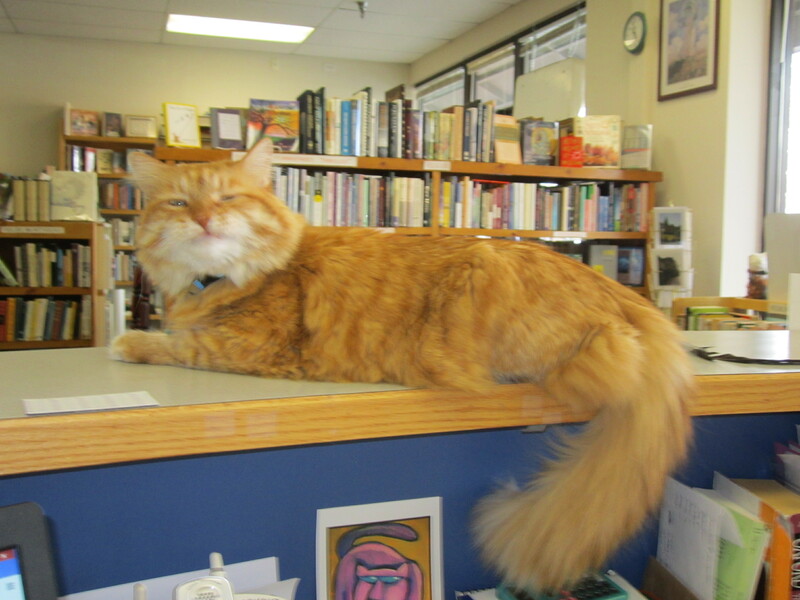 Meet Monty, the mellow resident store cat and read his story.